Ed and Wendy Bjurstrom, co-founders of Compassion Tea, took a trip to Africa in May 2017 and recently shared how the medical supplies that are provided via the profits of Compassion Tea were used to share the gospel at the Rwanda Children’s Clinic. As the word spread that Rwanda Children had supplies for their health clinic, many people began to gather day after to day to receive medical care. Serge and one of the house mothers began to share the gospel with these patients as they waited their turn to be treated by the nurses. 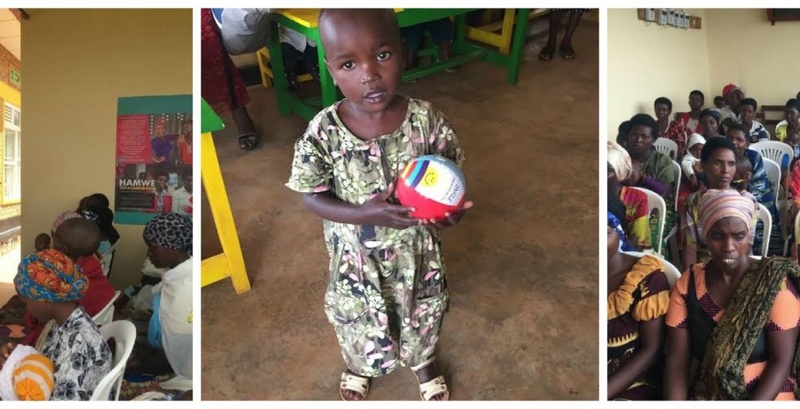 We praise God, along with the Rwanda Children and Compassion Tea staff, that Divine (the child pictured above) was healed of the severe case of malaria through these medications. Please pray with us that Divine and the other children will trust in Jesus – the Ultimate Healer of our spiritual lives. Thank you for drinking HOPE Coffee and Compassion Tea!